This isn’t random. 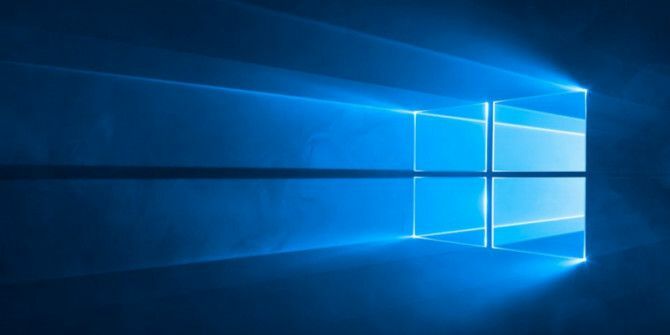 Your Windows 10 machine is installing the latest updates Pros & Cons of Forced Updates in Windows 10 Pros & Cons of Forced Updates in Windows 10 Updates will change in Windows 10. Right now you can pick and choose. Windows 10, however, will force updates onto you. It has advantages, like improved security, but it can also go wrong. What's more... Read More and restarts because it needs to finish the process. And while it’s necessary, it can be extremely irritating because you wanted to get that important project finished right now. Fortunately, there’s a solution. A feature in Windows 10, called Active Hours, gives you more control over when the operating system will consider it “okay” to restart. With the help of Active Hours, you can prevent Windows from restarting when you’re working. As the name suggests, Active Hours is a block of time that you can set to let your PC know you’re using your device, so it won’t restart automatically during those times. Setup only requires three simple steps. Click the Start button and select Settings. Alternatively, use Windows key + I. Select Update & security from the options. Under Update settings, click on Change active hours to arrive at the next screen. The description is easy to understand. Choose the start time and end time of the time range when you are working. Then select Save. Do note that the maximum active length between the start time and the end time you can set is 12 hours. Any other time range is not allowed. What If You’re Working Outside Active Hours? There will be times when you’re working outside the Active Hours. Windows 10 gives you another option to postpone automatic restarts temporarily in such scenarios. Go to Update & security > Update settings > Restart Options (which is just under Change active hours). Toggle it to On and set a custom time and day. This feature is only active when a new update is available. Otherwise, the feature is grayed out. Have You Set Your Active Hours? Some control is better than no control and this feature that came in the Anniversary Update 16 Windows 10 Anniversary Update Issues & How to Fix Them 16 Windows 10 Anniversary Update Issues & How to Fix Them The Windows 10 Anniversary Update brings many improvements, but it has also introduced a host of new problems and annoyances. Here's how to troubleshoot and fix them. Read More is a welcome move. I usually get such restarts out of the way at the first opportunity with the help of the Restart now button under Update Status on the same screen. Are surprise updates still an issue with you? Do you use Active Hours to manage your updates and restart? Or has it ended up irritating you? New Creators update that is rolling out from today has a new max active hours, instead of the original 12 you can now set active hours for 18hrs max.